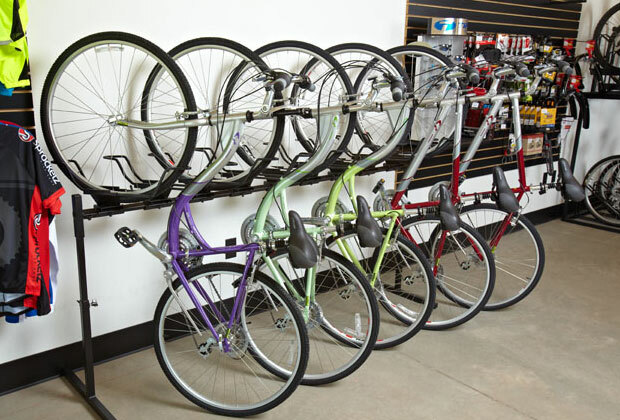 FreeMax Freestanding Vertical Storage | Does your Bike Room look like this? The FreeMax Freestanding Vertical Storage rack was designed as a high density rack to be used when 2 tier racking or wall mounting is not an option. Available in single sided or double sided configurations. Standard size is 5 bike single sided or 10 bike double sided. Designed for high density in an area that has low ceilings. Freestanding unit can be placed anywhere and does not require permanent mounting. Simple assembly is required. 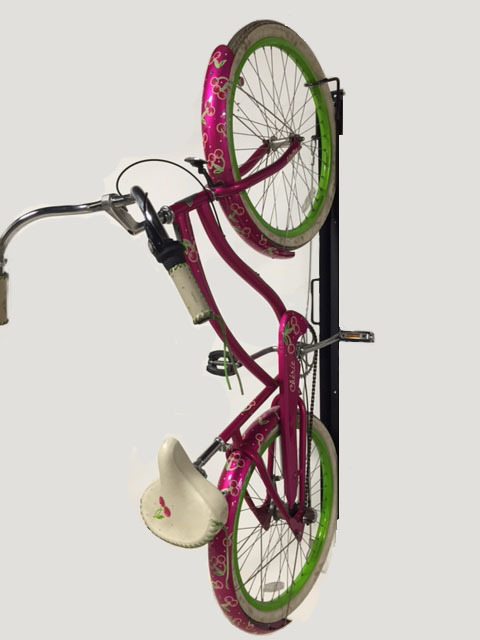 When bikes are plentiful and space is tight, bike storage requires creativity. This is where the FreeMax works its magic. TheFreeMax should be used in situations where ceiling height is too low for high density 2-tiered racking. The FreeMax fits under a 7′ ceiling. It is free standing, so it works in spaces that don’t allow wall mounted racks. It is “high density” due to the placement of the racks. The cradles that hold the bikes are offset by height to prevent handlebars and pedals from tangling. This rack should be accessed from both sides, so it is ideal in the middle of a room. The 5-bike FreeMax will display 5 bicycles on one side, and the 10-bike FreeMax will display 5 bicycles on each side. Optional security cables ensure that users will have an easy way to lock their bikes. It is possible to mount this rack on carriage systems to create a “movable aisle” if storage space is extremely tight. The FreeMax will store 10 bikes in 42 square feet of space. 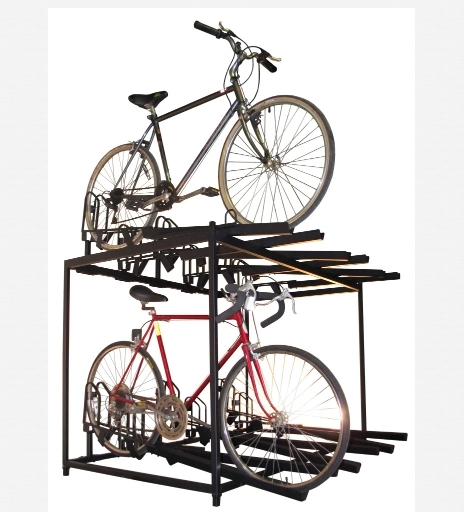 This will save a total of 58 square feet of space versus storing bikes flat on the ground. This rack can be used in combination with the “WallMax” to provide a clean consistent look throughout your bike room. Please allow for at least 3 feet on either side of the rack to access bikes.